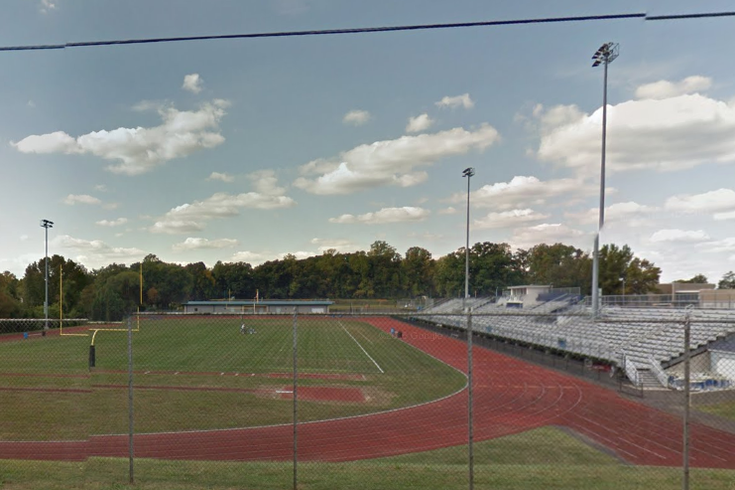 Pictured is the football field at Springfield Township High School in Montgomery County. Players for a Montgomery County high school's varsity football team won't be suiting up this year. The reason? There aren't enough of them. Springfield Township High School announced this week that they are cancelling the season because they "simply do not have enough players to safely play this year." "I sympathize with our players, coaches, and the community as Friday nights in Spartan Stadium have been a staple of my life for the past several years," said Jason Pane, assistant principal and director of athletics. "I am especially apologetic to this year’s senior class and to our coaching staff." Pane said the decision was difficult, but added that it was made to protect the health and well-being of the students. The school's junior varsity team will still play this year. Pane encouraged parents and students to show support at their games on Mondays this fall, saying that those players will hopefully develop into varsity-level talent. The school's plan is to eventually return to varsity competition.